Calypso here with you today, to share a complete gift giving idea. I created this entire set I am about to share with you, using just one stamp set. Yes, just ONE!!! 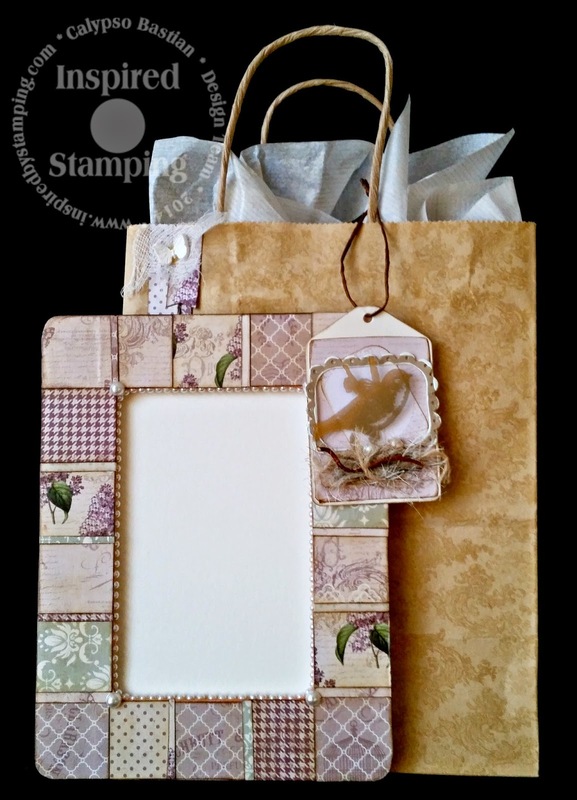 For my project today I used Spring Lilacs stamp set and Spring Lilacs paper pad. 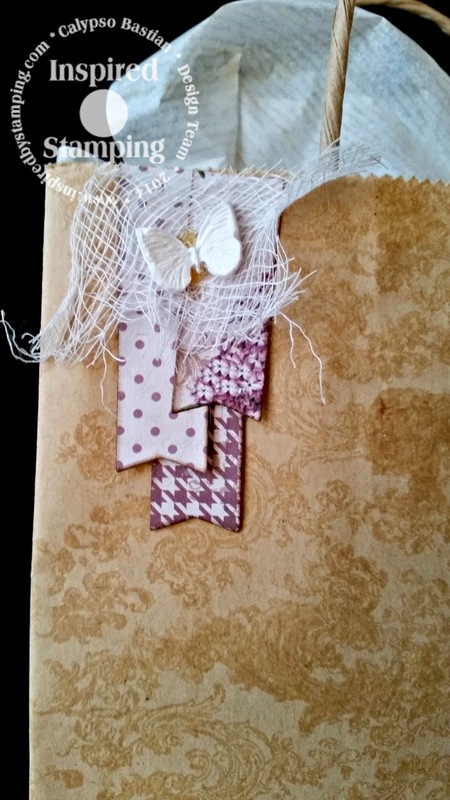 The gift bag has been stamped with Versamark embossing ink using the pretty scroll in the set. Take a closer look at the tissue paper. I used the scripted stamp and Antique Linen to stamp on the tissue paper. Since I love the Spring Lilacs paper so much and have lots of bits and pieces from previous projects. The banner was created using the new Fancy Labels 3 die set and inked the edges with Walnut Distress ink. 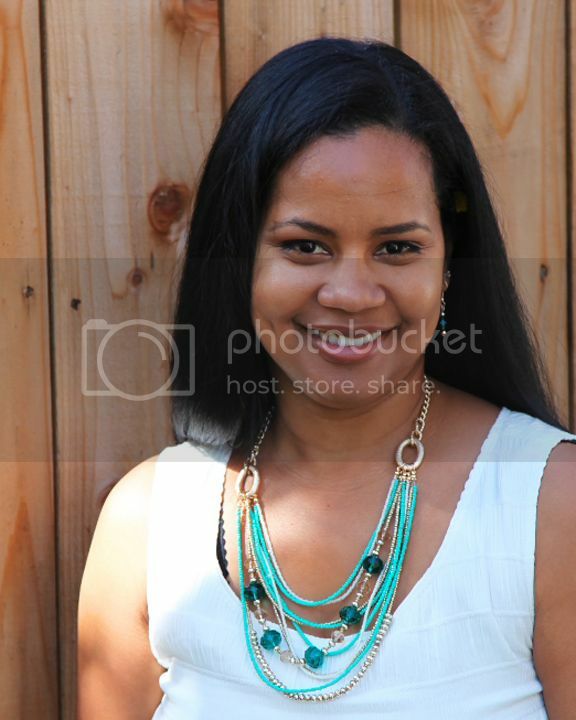 I LOVE this tag!! 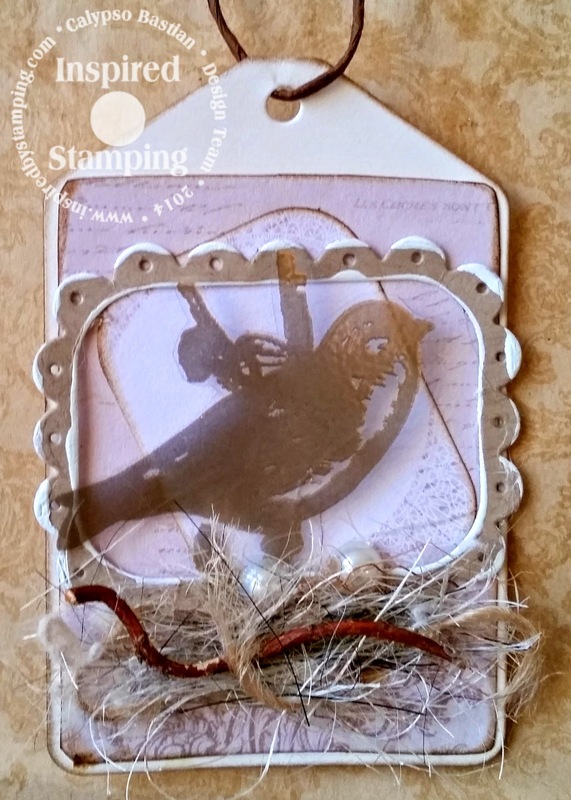 :) I stamped the bird ob transparency paper and embossed in gold embossing powder. Once it cooled I trimmed it out and laid it between two heavy books, just so it would uncurl. I then created a nest out of my personal stash. I have two Lady Gouldians, so the supply was readily available! :) I added to pearls, to make them look like eggs. The frame is the final idea and my favorite. 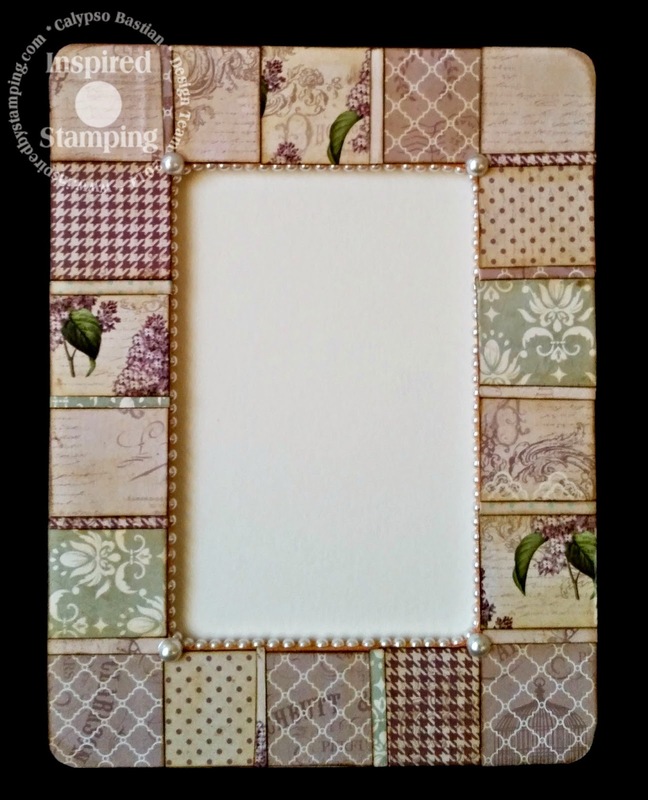 Again, using only scraps of the Spring Lilacs paper I had handy, coloring all the edges with distress ink, before adhering to the frame with Mod Podge paste.I then decorated the inner lip of the frame with pearls, which were individually put into place. So I hope you have enjoyed my project today.